Rome Cavalieri, Waldorf Astoria Hotel & Resorts, is unveiling a new Suites Experiences program, available exclusively to guests who book a stay in any of the hotel’s elegantly appointed suites. From VIP on-property perks to unique experiences around Rome, suites guests are provided with true insider access to the Eternal City, as cultivated by Rome Cavalieri. As part of the program, guests who book an Alcove, Vista and Corner Suite, as well as the premier Napoleon, Petronius, Planetarium and Penthouse Suites, are welcomed with a host of on-property amenities, including a VIP airport transfer, access to the Imperial Club and Cavalieri Grand Spa Club, and a special bespoke cocktail. To complement these amenities, Rome Cavalieri – considered the World’s Leading Luxury City Resort by the World Travel Awards - has cultivated partnerships with local artisans, designers, and other vendors to provide unique insider experiences around Rome for their enjoyment. Aligned to varying seasonal themes such as “Italian craftsmanship,” “Souvenir,” “Art & Tea,” and more, insider experiences can incorporate anything from VIP shopping excursions to private visits to the Vatican Gardens, depending on guests’ length of stay. Guests booking a two-night Corner or Vista Suite this month, for instance, will receive will receive a private sandal making experience at a traditional Italian shoe maker’s workshop. An extended four-night stay in the suite will also include a round-trip Mercedes transfer, while a six-night stay will add a morning pedicure at the Cavalieri Grand Spa Club. Foodies can rejoice in a “Culinary Journey” when booking a two-night Vista or Corner Suite stay this January, February and March, as they experience a private food tour around Rome with a round-trip transfer. Booking additional nights will add an aperitivo in the centre of the city as well as a private tour of La Pergola’s award-winning, 70,000+ bottle wine cellar with Spumante. Similarly, guests booking a premier suite during spring 2018 will enjoy a VIP Cabana Experience by Rome Cavalieri’s outdoor pool, as well as a private yoga session with a Rome view, and a private visit to either the Vatican Gardens or Castel Gandolfo Gardens when they book a one, two, or three-night stay respectively. 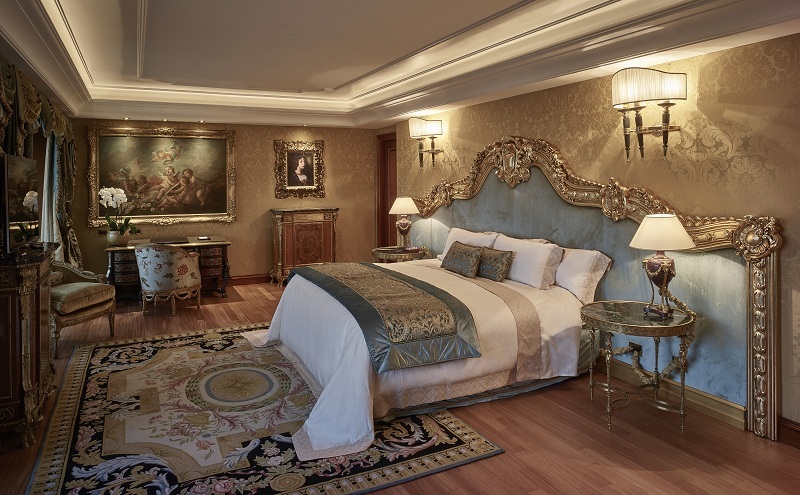 “At Rome Cavalieri, we strive to create an unforgettable stay for our guests, and we’re delighted to extend these new experiences to our suites guests to enhance their time in Rome,” said Alessandro Cabella, managing director. Rome Cavalieri’s new Suites Experiences are available on an on-going basis as part of a suite booking, and will rotate quarterly based on seasonal themes. The experiences are designed for two and will be coordinated through the hotel’s Personal Concierge. For more information and to book a stay, please visit the official website.